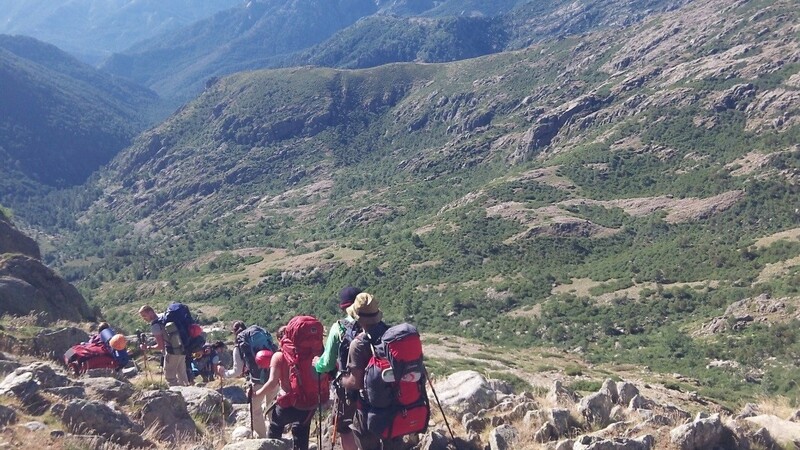 The aim of Exercise DRAGON CORSE was for members of 203 Fd Hosp to complete the northern half of the GR20 high altitude route in Corsica. Putting 16 Officer’s and Soldiers under pressure while conducting arduous physical and mental adventurous training and develop leadership outside of their normal comfort zones. The biggest challenge on this expedition was the introduction to the environment. 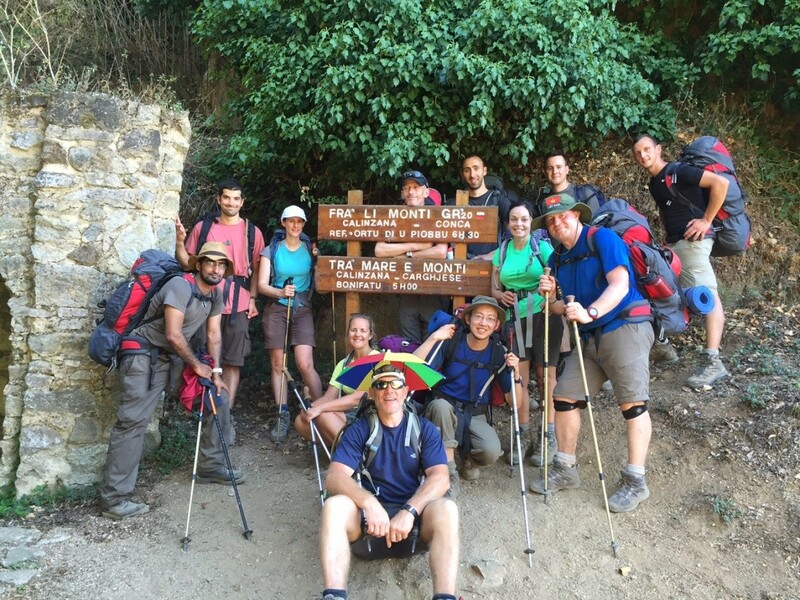 The presumption was that at least half of the group would find this expedition too arduous and therefore have to have additional rest days. None of the walkers had previous experience in mountaineering or in carrying the required weight over this type of terrain, at altitude and in high temperatures. Day 1 started from the village of Canaglia and paralleled the river up to a bridge that marked the low level GR20 route between L’Onda and Petra Piana. From this point the group walked out of the woodland cover and started the ascent up to the refuge. Upon reaching the refuge all tents were pitched and administration was conducted. Day 2 started with a gradual climb until the descent on the low level route of the GR20. The first half of the day was conducted walking along flat terrain through woodland cover which helped with the heat of the day. The low route paralled the river until the ascent started up to the refuge. The climb out of the woods was gradual until the base of the mountain. The steepness of the climb meant that the route zig zaged for long periods until a small group of huts appeared and a rest stop was taken. The climb from here was very steep and very arduous until the refuge. This phase was the toughest out of all the days; any doubts about the ability of the group were now left in the wind. Day 3’s route was the reverse of the previous day and started with a descent into woodlands and was very difficult on the knees. The route down to the village was cobblestone and dirt track with a gentle gradient for the remainder of the day. Day 4 started by crossing the road from the refuge into the woods where it contoured around the valley to the first climb at Col de St. Pierre. At this point the route zig zaged upwards until it peaked at the wind swept trees. The route continued upwards to Lac de Nino where the group stopped for lunch.The next section was flat until the derelict refuge at Bocca d’Aqua Ciarnente. From here the ascent up to the refuge was steady. Day 5 started with a descent back towards the previous days route until the junction at Bocca d’Aqua Ciarnente. From here the route descended steadily towards the West and the village of Soccia. There was a steep drop to the left hand side of the route for the first hour and paralleled the river until reaching the woods. The route continued down under the canopy of the woods until the road was met just north east of the village. Day 6 started on the Liason Bonifatu route and it started with the route ascending along the river until the river split. The route then turned left and upwards into the woods. The whole day is a steady climb as the route ascends steeply in a zig zag pattern until the refuge was achieved. The final day’s route started with a flat section that contoured around the hill that led onto a steep section. This section took longer than anticipated due to the number of other walkers that were on the route and that the traffic was only 1 way. The route descended into some woodland cover until Bocca Saltu. This was a plateau feature where a well needed rest stop was completed due to the extreme heat of the day. The descent to Bocca Corsu was steady and contoured around the feature until the final descent into the village of Calenzana. The expedition was an overall success with all members coming off the hill without any injuries. 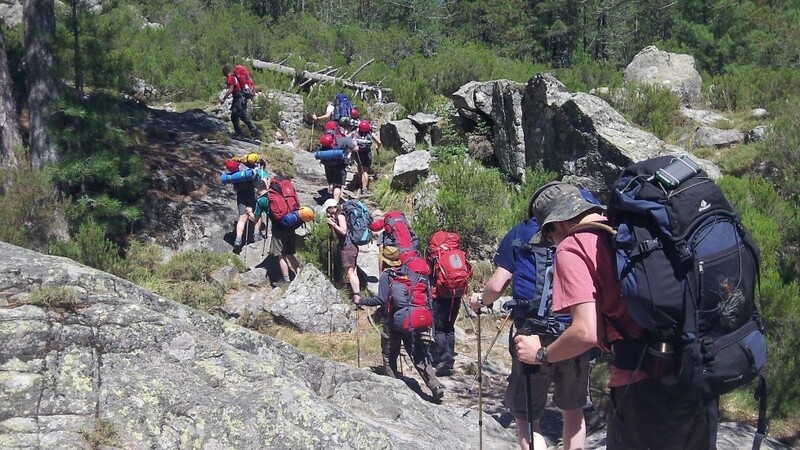 The biggest benefit from this expedition was that the walking members realised that their potential to work as hard as they did was done with little difficulty. 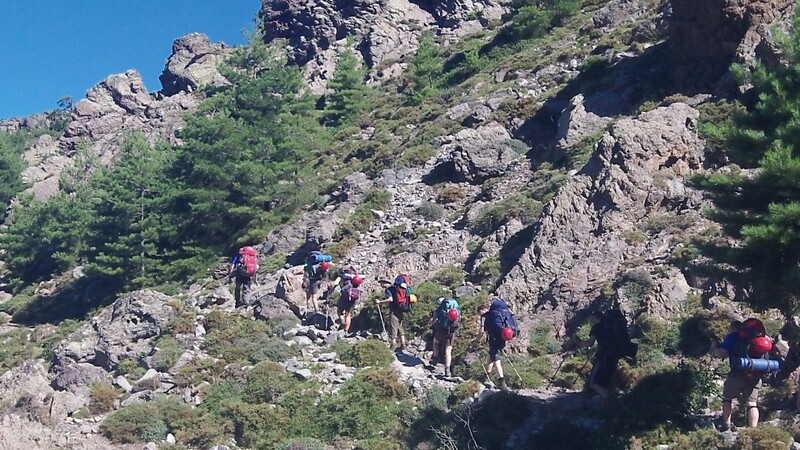 Some members did not think that they could carry the weight over the terrain and at altitude. 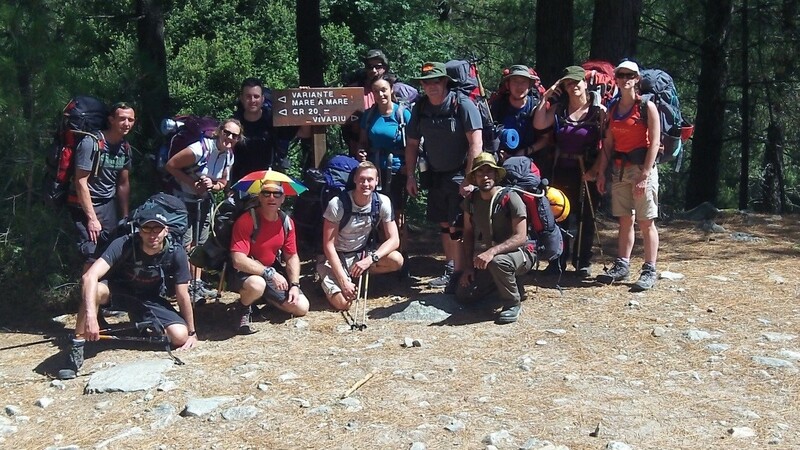 From the exercise directors view the expedition confirmed that there were future instructors within the group.